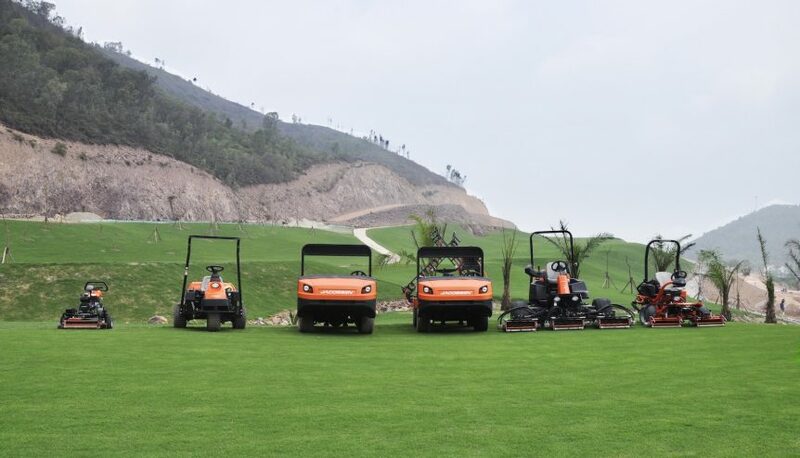 Textron Specialized Vehicles, a Textron Inc. (NYSE: TXT) company, announced that its Jacobsen equipment has been chosen to maintain Yen Dung Resort and Golf Club, a newly constructed golf course in the Bac Giang province located just 50km North-East of Hanoi in Vietnam. The course has been designed by Albanese & Lutzke Inc. and the first 18-holes opened on the 20th August 2017. The golf course will expand to 36-holes during the next phase of construction due to take place in 2020. 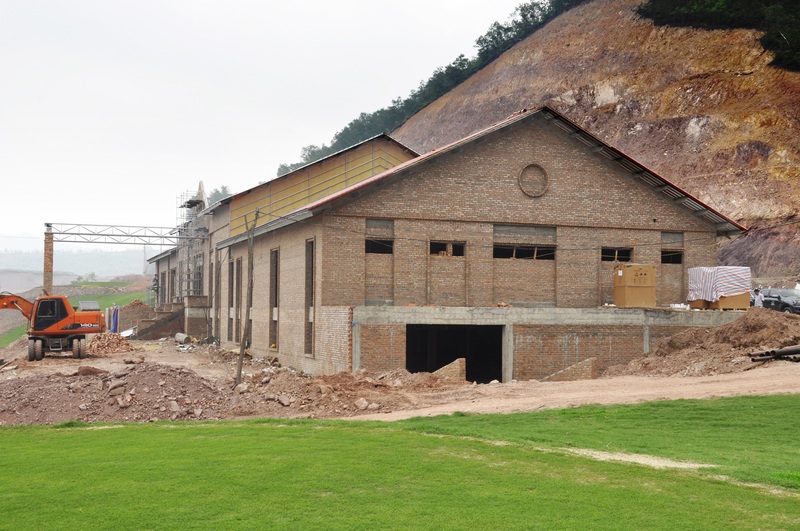 As the only golf course in the province, it is expected to receive heavy traffic particularly from professionals working at the nearby industrial parks. The Club has invested heavily in course maintenance equipment and has purchased nine Eclipse 2 greens mowers, nine Greens King 526 mowers, three GP400 ride-on mowers, five Greens King 526 mowers, three LF570 fairway mowers, two AR522 contour rotary mowers, one AR-3, two Groom Master II bunker rakes, eight HoverKing speciality mowers and two Jacobsen Truckster XD utility vehicles. “We are on the side of a mountain here, so we have had to construct the course as well as infrastructure such as roads and bridges. It has all come together well, and it will be spectacular to play for golfers visiting the area; we are the only golf course in the province. 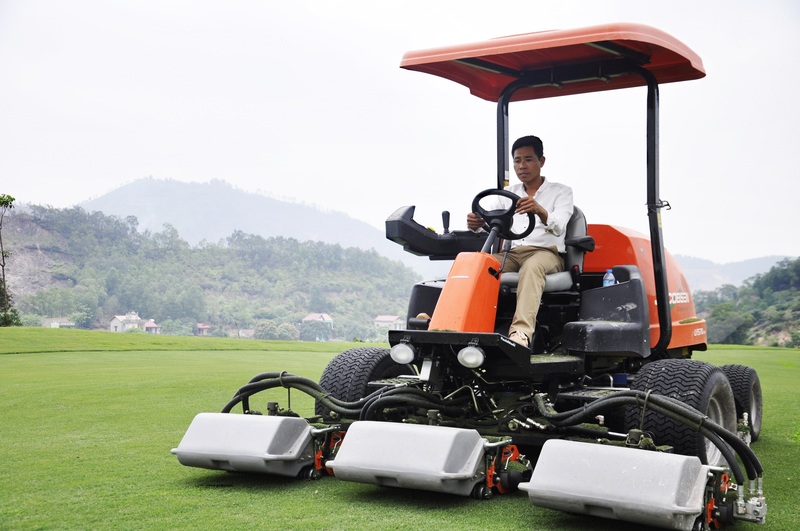 “I chose Jacobsen equipment because I have used the machinery on my previous course, and I have always been blown away with the results. The quality is good, and the support from our dealer, Shriro Vietnam, is also fantastic. 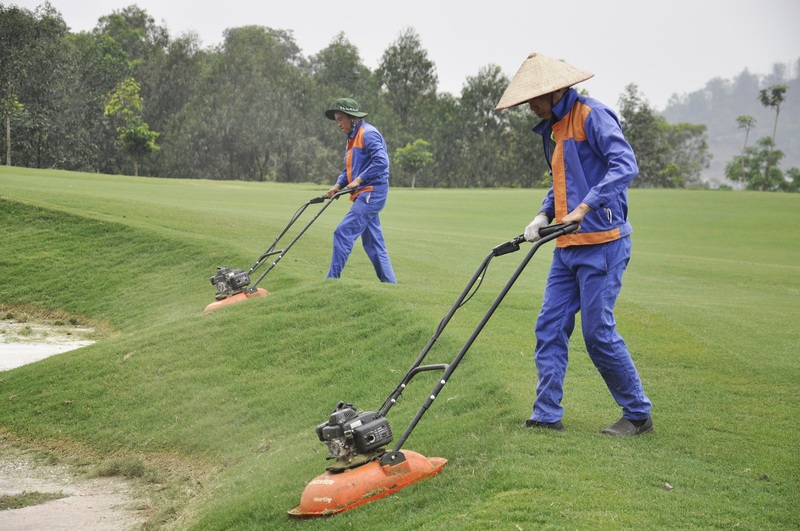 There are 60 staff members in the maintenance team at Yen Dung Resort and Golf Club who manage an area of ​​190 hectares. There are 138 villas surrounding the golf course for sale, and a hotel on-site.